Former prisoner of war Tom Morris revisited Thailand in 1983 as a member of the "Bamboo" tour to the Thailand-Burma railway. The visit to the Hellfire Pass area reminded Tom of his war-time experiences on the railway and he resolved to convince the Australian Government that the area could be presented as an historical site. In 1984, the Department of Arts, Heritage and Environment requested the Snowy Mountains Engineering Corporation (SMEC) to make a reconnaissance of the railway to select a suitable site. 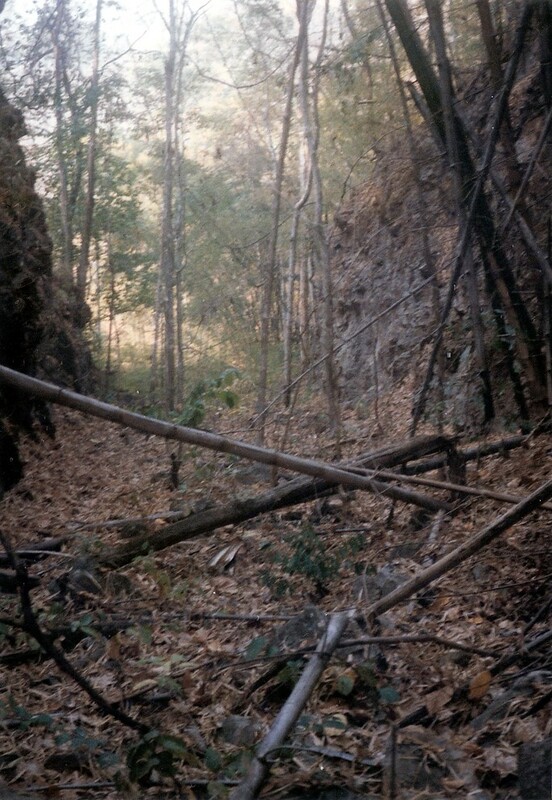 Jim Appleby, an engineer with SMEC at the Khao Laem dam site on the upper Kwai Noi River, devoted much of his spare time investigating the more accessible parts of the abandoned railway. Jim compiled sketch maps and notes of his observations and passed these to the Australian-Thai Chamber of Commerce when SMEC staff left Thailand in early 1985. Tom Morris continued his interest in the project through his work with the Australian War Memorial in Canberra. He unearthed many interesting documents relating to the railway and in particular to the Hellfire Pass area. “Every imagined gesture arises from some initial creative thought followed by tangible support. The idea of this Hellfire Pass Memorial was that of Corporal T.J. (Tom) Morris following return visits to the railway. His enthusiasm took the matter through his Local Member of Parliament, Mr Ken Fry to the Minister of Arts, Heritage and Environment, Mr Barry Cohen, who later announced an Australian Government grant of $25,000. I have no doubt this was strongly backed by the Hon Tom Uren. Australian and Thai authorities agreed upon the project. The work has involved the co operation of the Department of Foreign Affairs, the Snowy Mountain Engineering Corporation and the Australia Thai Chamber of Commerce headed by the dynamic Ken Bradley. Also much is owed to Mr Jim Appleby senior resident Engineer at the Khao Laem Dam project. More money and effort will be required to maintain the project. Ian Gollings, RSL Australia, sent with me a cheque for $1000. Appropriately the memorial is not only in memory of those prisoners of war who died on railway construction but also to those Thais who risked their lives to supply money, food and medicines to those in such dire need. Very notable amongst them was the heroic Boon Pong Sirivijaphan, who, in his guise of a river trader saved a great many lives. I am deeply honoured that my name is associated with his in the ‘Weary’ Dunlop/Boon Pong Fellowship for Thailand Australia Medical Exchange. The fellowship honours all medical workers whose efforts saved many lives, as well as Thai helpers”. The request by Tom Morris to the Australian Government concluded: "Would it be possible to have Hellfire Pass preserved as an historic site, dedicated to the memory of all our fellow PoWs and civilian slaves, of whom so much had been demanded in the construction of the Thailand-Burma railway?" This entry was posted in Articles, Notices by btrma.admin. Bookmark the permalink.